Can You Save Money on Insurance? Money saving has become the primary concern of the common man today and this is the reason behind raising importance of frugal living. Money saving has become the primary concern of the common man today and this is the reason behind raising importance of frugal living. Money can be used to buy many things at the same time, saving of this money can be done in many things too. The current article enlightens the reader about few money saving tips in insurance. Our life is precious so, we have to make sure that we protect it through insurance policy. The increasing medical expenses today have made everybody look towards the insurance policies which can help in the times of emergency. Though insurance policies are quite useful in protecting our life during the times of emergency, following few tips will help you in saving good sum of money in these insurance policies too. Once you have taken a decision to purchase insurance policy to protect your life, watchful research on the internet would be your first step. You should look out for the insurance policies offered by various reputed companies, their benefits and premiums. The best policy would be the one that offers good benefits at decent premium. This research will give you the advantage of getting better plan that suits your requirements. The next must step for saving money in the insurance policy is comparison. You have to make sure that you take the help of the comparison sites available online to fetch the insurance policy at best deal with great benefits. Compare the premium you pay for the policy and the compensation you receive before you take a decision to go ahead with purchasing the policy. Every insurance policy demands you to pay certain amount of premium towards the insurance policy. In most of the insurance policies you will have an option to choose between monthly premiums and annual premiums. Prefer to pay the premium annually so that you will be entitled for some discount. Though you might not find a big difference in the amount paid currently it will be quite beneficial in the long run. Make sure you remove unnecessary elements in your insurance plan. Take the insurance for what you need exactly. Some insurance companies pay the trick of offering other policy in combination of the current one. They say that you will be benefited with child insurance policy along with the current one if you are able affords little high premiums. Never get tempted by those combination offers and take the policy which you cannot afford. Make sure you remove unnecessary elements in your policy to make the premium affordable. You should be very prompt in the payment of insurance policy premium. This is also one of the tips to save money on your insurance policy. If you fail to make the payment, the current insurance policy will be lapsed and all the money that you have invested till date goes in vain. Apart from checking the compensation and premiums of the insurance policy, you have to make sure that policy that you have chosen fits in your requirements. If your intention is to lower the payment of the premium due to your current economic conditions, term insurance is the right option for you. If your intention is to get good compensation on maturity and benefit your family, life insurance is best. 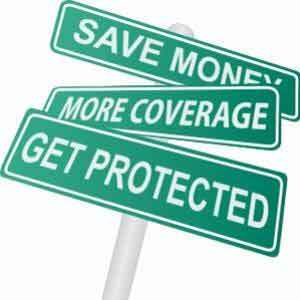 If you wanted to get the best deal at low premiums, you have to keep your health at peak when you go for insurance policy health check up. When the insurance company finds that there is no major health defect in your body currently, they may offer you insurance policy at low premium.